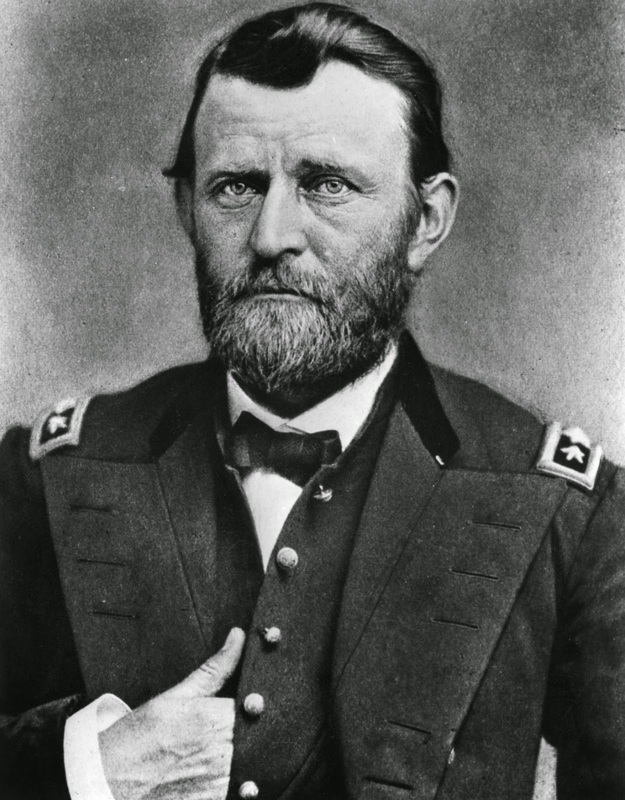 Little in Ulysses S. Grant's background and early career suggests the greatness he would eventually attain in the history of the United States. His grandfather had served time in debtors' prison. His father ran a tannery in Ohio, but managed to get him an appointment to West Point in 1839, trusting that his son could make the military a career thus guaranteeing him an income. He graduated in the middle of his class, and although an excellent horseman, failed to get the cavalry duty he desired. He married Julia Dent, the sister of his West Point roommate and the daughter of a Missouri slave owner, in 1848. They had three sons and a daughter. The Army sent him to a Pacific outpost without them, and Grant, grieving for his family, resigned his commission and tried his hand at several endeavors, all of which failed miserably ... bill collecting, selling firewood, farming. Nothing worked for him. He re-entered the Army and never looked back. Washington did not give him a command, but the Governor of Illinois made him a colonel in charge of volunteers. Then he was promoted to brigadier general and won a momentous battle at Fort Donelson at a time when other northern generals were suffering humiliating defeats and became a hero in the North. He looked anything but heroic. He disliked uniforms, didn't like marching bands, was short and stubby in appearance and always appeared rumpled and disheveled. The sight of blood made him sick, and, because of that, insisted on his meat being cooked dry. 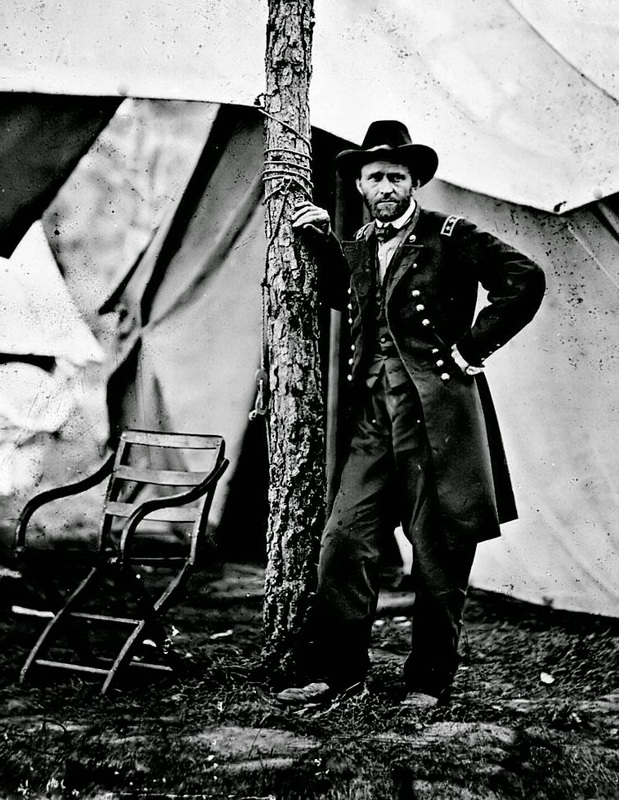 But when the public was clamoring for his removal from duty after the battle of Shiloh and the horrible losses there, Lincoln responded with, "I can't spare this man. He fights." Grant was methodical, dogged, and clearheaded under fire, knowing exactly what it would take to reach the objective. Grant struggled with alcohol his whole life, and depression as well. When word came to him that General Lee was ready to surrender, he was battling a splitting migraine headache, but jumped immediately on his horse and rode to Appomattax without any thought of his attire. He arrived muddy and typically rumpled, not even in his dress uniform, to meet the impeccably groomed and dressed Lee. He served two terms as president, and died of throat cancer after writing his memoirs, hoping the sales would support his family upon his demise. Published by Mark Twain, the book accomplished what Grant had hoped, selling half a million copies. He ended the publication by writing, "I feel that we are on the eve of a new era, when there is to be a great harmony between the Federal and Confederate. I cannot stay to be a living witness to this prophecy, but I feel it within me that it is so." He died a week after finishing the manuscript. Federal and Confederate dignitaries alike participated in his funeral service. Golden Keyes Parsons writes historical fiction, and is also a popular retreat/conference speaker. Her highly acclaimed Darkness to Light Series (Thomas Nelson Publishing) chronicled the journey of her French Huguenot ancestors in 17th century France. Her fourth novel, His Steadfast Love, is a Civil War novel set in Texas. 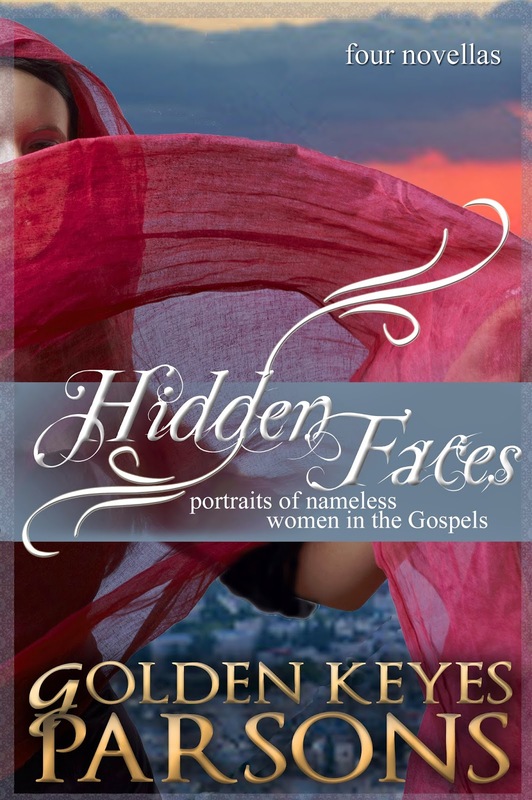 Her latest release is a compilation of four novellas (WhiteFire Publishing) – a biblical fiction series entitled Hidden Faces, Portraits of Nameless Women in the Gospels. Golden lives in Waco, TX, with her husband, Blaine, where they enjoy their children, grandchildren and great-grandchildren and are avid sports fan of their alma mater, Baylor University. You may contact her at www.goldenkeyesparsons.com. That's really interesting about Ullyses Grant's background, and how a common man can rise to become uncommon by his actions and choices. Golden, what an interesting post. I knew some but not all of Grant's story. What an interesting story. Thank you for sharing. Interesting post. When I studied the Mexican-American War (1846-1848), I was fascinated to see all the West Point graduates who served together in that war, but would later be opponents on the Civil War battlefield. Grant was such an interesting person to study. Thanks for sharing.